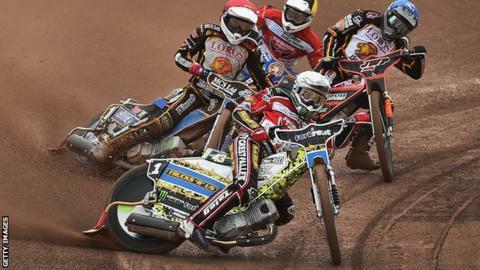 Leicester Lions owner David Hemsley has emphasised the importance of taking pressure off of star-man Jason Doyle through the club's recruitment policy. "That's one of the things for me and Jason to sit down and talk about now," Hemsley told BBC Radio Leicester. "What he needs now is the support of a team of riders who can offer him things he hasn't benefited from so far." "I believe Jason has improved in his time here," he continued. "Now let's try and get some success." You can hear BBC Radio Leicester's interview with David Hemsley by clicking this link.